Welcome to the Florida Action Coalition! All Floridians deserve access to high quality, patient-centered care. That’s why Florida is part of the Campaign for Action, which is working to help nurses guide health care system improvements. The Florida Action Coalition, a collaboration of diverse stakeholders, is leading changes in nursing and health care delivery that will enable more Floridians to access high quality care at a reasonable cost. To reach this goal, nurses and other health care professionals have teamed up with executives from health foundations, businesses, universities, and government to advance three areas of focus in Florida nursing: Education, Leadership, and Practice. Interested in becoming a volunteer for the FL-AC? Fill out the Stakeholder Volunteer Form. Visit our Digital Library page, and explore the Newsletters folder for all past and present Florida Action Coalition news bites! Please enjoy our 2010 - 2017 Florida Action Coalition Timeline! The FL-AC, formed in February 2011, has invited state leaders both inside and outside nursing to participate in the coalition, including elected officials, health industry executives, physicians and other health professionals, educators, philanthropists, AARP Florida and leaders in the business community. Vision Statement: All Floridians have access to high quality, safe, and patient centered care in a health care system where nurses contribute as essential partners in achieving success. 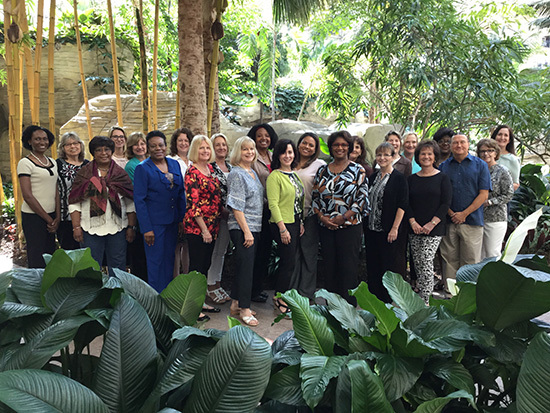 Mission Statement: The mission of the Florida Action Coalition is to provide leadership in advancing the nursing profession so that Floridians can access safe, high quality health care.